Well, what can we say? What a fantastic night we had hosting our very first Wings Award Ceremony?! Thank you to Malachi Cush, our fantastic Master of Ceremonies that kept the whole evening running smoothly. Thanks also to Queen’s University, Belfast for the use of their gorgeous Great Hall…what a venue?! And also to Queens Hospitality for the beautiful buffet. Thanks to Dean & Brian from Moon Lighting for ensuring the sound and lighting were at such a professional standard. 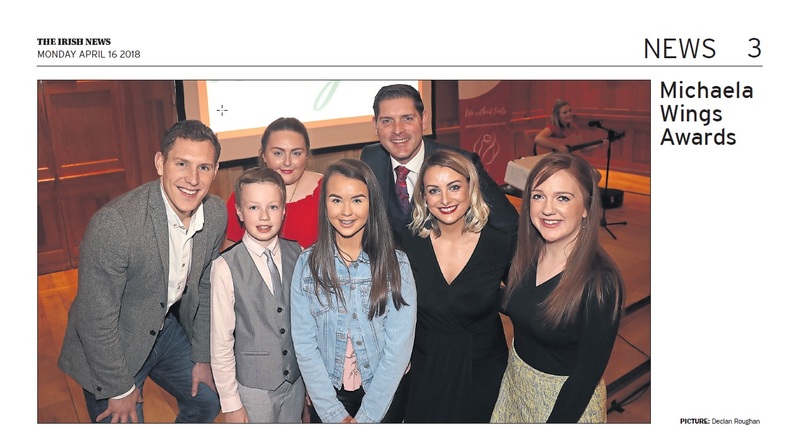 A huge go raibh míle maith agaibh to John Brolly and his team at the Irish News for their fantastic support and coverage of our event and in the lead up. A massive thank you & congratulations to all our finalists and of course, to our outstanding winners in each age category! Without you, our night just wouldn’t have been possible. We hope you all enjoyed your night as much as we did! More photos and videos to follow so stay tuned!